Casio made the first really functional graphic calculator, and it’s the Casio FX-7000G from 1985. Later, HP developed the graphic calculator HP-28C and a few more models. In 2006, HP developed the HP-50G which featured an algebra system that manipulates symbolic expressions and solves equations. Casio CFX-9850GC Plus is more user friendly than the TI-83 and TI-84. Some of the amazing features include: 900+ advanced functions: statistics, regressions, financial; Can perform 26 matrices; graphic functions including rectangular and polar coordinates, vertical lines, and more. 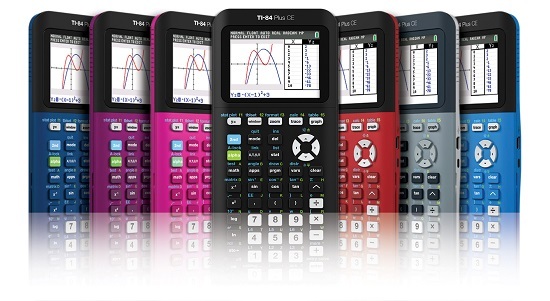 HP 50G – another good alternative to the TI-83 and TI-84. It has an Equation Library: 2300+ functions. TI-84 Plus has three times the memory and twice the speed of the TI-83 Plus. Can produce 10 different graphs and analysis at one time. Voyager 200 is a larger handheld model primarily for advanced high school STEM classes, college, and engineering, with a larger display and a QWERTY keyboard that is not permitted in all test taking. So if you are in need of graphic calculators for school, search through online offers and look for one according to budget. Moreover, there are used calculators you can get for a very decent price. This entry was posted in Calculators, Electronics and tagged Graphic Calculator, Graphic Calculators, Graphic Calculators for School, School by australiaonline. Bookmark the permalink.